Re-imagining Democracy in the Age of Revolutions charts a transformation in the way people thought about democracy in the North Atlantic region in the years between the American Revolution and the revolutions of 1848. In the mid-eighteenth century, ‘democracy’ was a word known only to the literate. It was associated primarily with the ancient world and had negative connotations: democracies were conceived to be unstable, warlike, and prone to mutate into despotisms. By the mid-nineteenth century, however, the word had passed into general use, although it was still not necessarily an approving term. In fact, there was much debate about whether democracy could achieve robust institutional form in advanced societies. In this volume, an international cast of contributors shows how common trends developed throughout the United States, France, Britain, and Ireland, particularly focusing on the era of the American, French, and subsequent European revolutions. 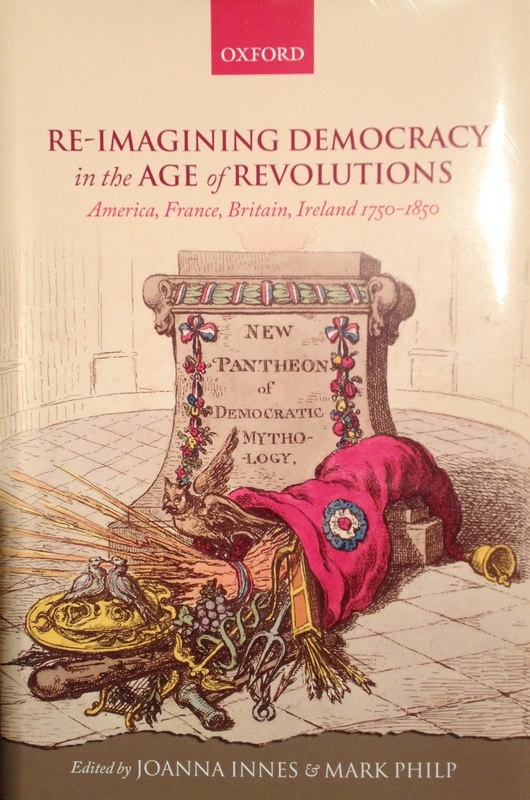 Re-imagining Democracy in the Age of Revolutions argues that ‘modern democracy’ was not invented in one place and then diffused elsewhere, but instead was the subject of parallel re-imaginings, as ancient ideas and examples were selectively invoked and reworked for modern use. The contributions significantly enhance our understanding of the diversity and complexity of our democratic inheritance.